MY OBJECTIVE IS TO CREATE CONTENT FOR RFACTOR AND EVENTUALLY GTR2/RFACTOR 2 . CREATE CONTENT FOR THE DECADES OF 50/60/70 AND 80 OF OUR BELOVED MOTORSPORT. HAVING THE OPPORTUNITY TO ENJOY AND RUN AGAINST VIRTUAL EMILIOZZI , GALVEZ , CASÀ, PAIRETTI , DI PALMA , CUPEIRO , COPELLO , GRADASSI AND CLOSER IN TIME TRAVERSO , MOURAS , CASTELLANOS , DE BENEDICTIS AND MANY MORE . 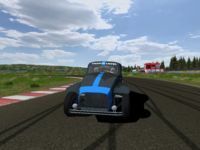 COMPETE IN CLASSIC RACES AND CIRCUITS AS THE 500 MERCEDINAS , THE WEST TRIANGLE , VUELTA DE HUGHES, VUELTA DE SANTA FE , TANDIL , THE SEMI-PERMANTENT CIRCUITS AS SAN LORENZO , JUNIN , LA PLATA, THE CLASSIC CIRCUITS LIKE RAFAELA , BALCARCE OR BUENOS AIRES . TCAMOD OFFERS FREE CONTENT AND PAID IF YOU WANT CONTENT, WITH THE OPPORTUNITY TO DONATE IF YOU LIKE WHAT YOU USED. THE VALUES ARE VERY AFFORDABLE AND WILL GO BEYOND THE 5 DOLLARS FOR A LARGE CIRCUIT ( +30 KMS) . TCA66 represent the 1966 Turismo de Carretera season. This is the second versión. 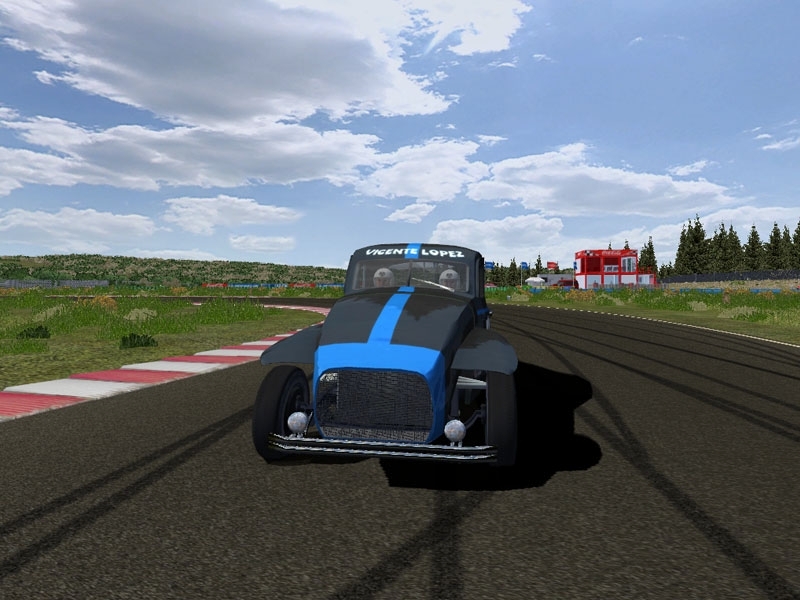 It is include 7 cars/drivers from version 1.0 (Rienzi,Emiliozzi,Casa,Menditeguy,Malnatti,Pairetti y Tarducci). From the new Chevrolet 37 and Ford 40 models I created 23 new cars/drivers with basic skins trying to represent the real color this cars/drivers had. This new 23 cars shared the same model, i.e. the Bordeu car, La Coloradita is not like real one, is just a Chevy 37 paint red. Soon as I can I am going to recreate each car like the real one. Each car had its own nose, mudguard and even some cars had a modified tail, so a lot of work still left to do ?. I tried to edit car’s performance to simulate real ones, but some cars are too slow and others too fast ?. I must made a deep research about this to keep working on this for upcoming versions. This new models are mucho more detailed than version 1.0, it had more detailed chassis, engine, plus much more small details, if you have FPS problem try High setting for cars, if problem still persist use Medium setting, it should work OK. IF YOU HAVE INSTALLED A PREVIOUS VERSION OF TCA66 MUST DELETE IT SO YOU CAN ENJOY THIS NEW VERSION, EVEN I THINK IT SHOULD WORK OK EVENIF YOU OVERWRITE VERSION 1.0. I TESTED THE CARS IN DX9 MODE , I GUESS IT SHOULD WORK IN OTHER MODES . ALL FILES USED ARE CREATED BY ME, AND OTHERS FILES NOT CREATED BY ME USED WITH AUTHORIZATION. YOU CAN NOT CONVERT THIS CARS TO ANOTHER SIMULATOR WITHOUT MY AUTHORIZATION. THIS MODELS BELONG TO ME AND TAKE ME SEVERAL HOURS OF WORK. YOU CAN NOT PUT THE MOD TO DOWNLOAD ANYWHERE ELSE OTHER THAN THAT I USE FOR THIS FILE IF YOU WANT YOU CAN PUT A LINK TO THE DOWNLOAD SITE . I HOPE YOU ENJOY THIS NEW VERSION. There are currently no setups for Turismo de Carretera 1966. Add a Setup. There are currently no car skins available for Turismo de Carretera 1966. If you are a painter you can share skins for this mod via the Car Skins area. Visit the Spray Booth for painting tips & tricks. It deserves some patience because the cars are very far from modern racing cars, and you need to drive them very smoothly. hi roadhog! i have the templates, but i dont use wccarbody style. each car had 5 basic textures, interior,interior panel, mudguards, nose and body. rest of textures are the same for all cars, you have to edit the 5 textures to get a car (for interior and interior panel you can use some of other cars). bravo amigo aguante el tuqui casa!! !